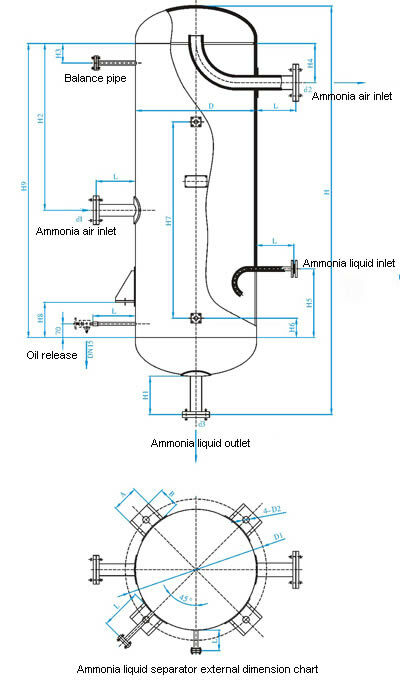 The ammonia liquid separator is used to separate ammonia liquid from ammonia gas which comes from the evaporator and prevent liquid ammonia from entering ammonia compressor and causing accidents by hydraulic shock. 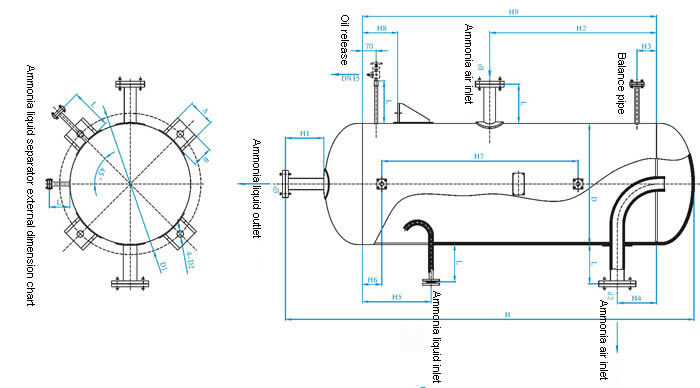 Note: The liquid level controller of AF ammonia liquid separator doesn't contain FQ1 ball float valve, because the float valve has been included in the evaporator and intercooler. 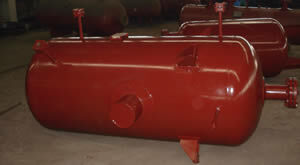 If users need no evaporator, then they can purchase the ball float valve separately. If the users choose electric control or other liquid level control methods, then they themselves are responsible for this. 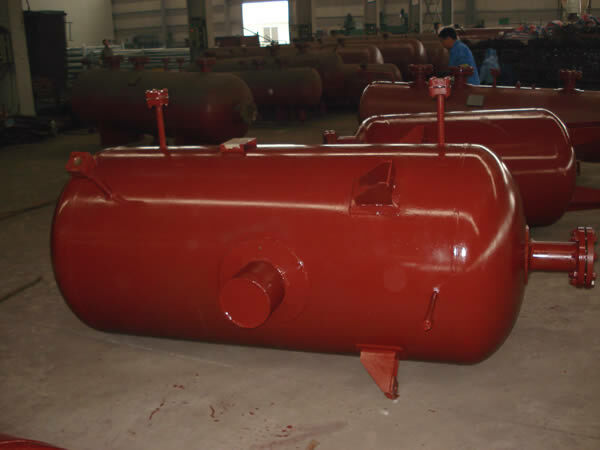 Our company is a professional ammonia liquid separator manufacturer in China. In addition, we offer ammonia oil separator, thermosiphon liquid receiver, evaporative condenser, closed circuit cooling tower, and more.